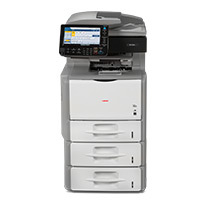 The flexible and powerful Lanier SP 5200S/SP 5210SF/SP 5210SR multifunction b&w system is designed to simplify everyday general office tasks for midsize workgroups. 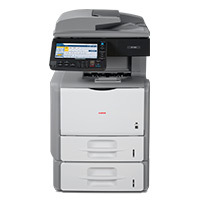 With this system users can quickly access exceptional multifunction performance — including black and white copy, print and fax capabilities with full-color and monochrome scanning — to complete a wide range of projects faster with incredibly low cost-per-page. 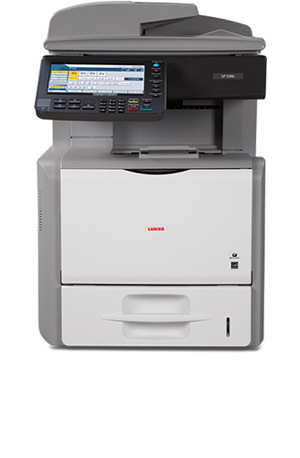 Ideal for busier workgroups, the device offers incredible speed, quality, finishing and intuitive controls to streamline workflow so users can manage documents more efficiently. 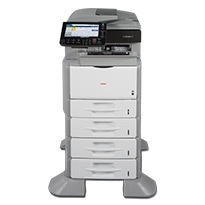 This system comes standard with print, copy and scan capabilities. 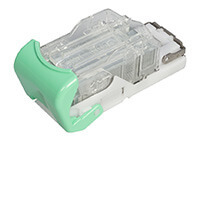 Ships with a Starter All-in-One Cartridge that yields 6,000 prints (ISO/IEC 19752). 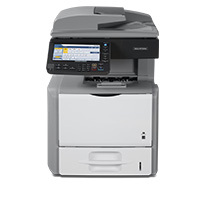 SP 5200S cannot be installed with Staple Type T or Refill Staple Type T.
This system comes standard with print, copy, scan and fax capabilities and an inner 1-Bin Tray. 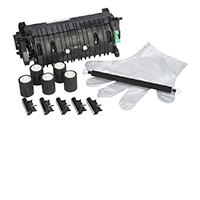 The inner 1-Bin Tray provides an additional output tray that allows users to separate output by function and increases output capacity to 600 sheets. 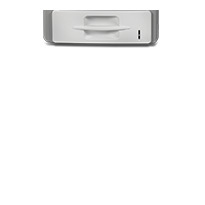 SP 5210SF cannot be installed with Fax Option Type SP5200, Staple Type T or Refill Staple Type T.
This system comes standard with print, copy and scan capabilities and an internal 50-sheet Staple Finisher. 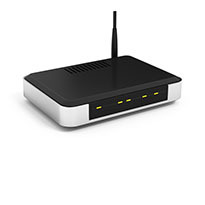 Wireless LAN option supports IEEE 802.11a/g standard and is WPA compliant. 2. 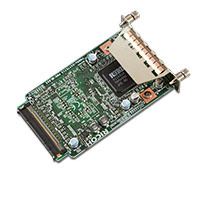 IEEE802.11 a/g Interface Unit Type J cannot be installed with Gigabit Ethernet Board Type C, Bluetooth Interface Unit Type D or File Format Converter Type E.
Required for downloading documents stored on Document Server in copier or printer mode to your PC using Web Image Monitor. 2. 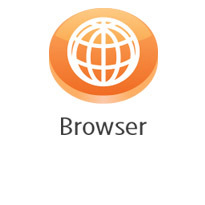 File Format Converter Type E cannot be installed with IEEE802.11 a/g Interface Unit Type J, Bluetooth Interface Unit Type D or Gigabit Ethernet Board Type C.
Expansion memory. Provides additional memory for facsimile functions. 1. HotSpot MFP Option Type E must be selected to add this option. 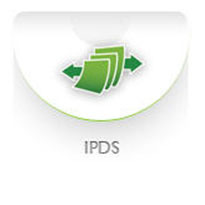 Enables the system to overwrite latent data stored on HDD so the data can not be re-created. When installed, Data Overwrite is available as a standard feature. 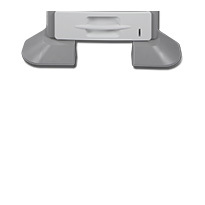 Required for third party solutions requiring 20-pin connection. 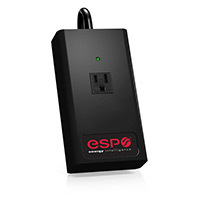 ESP AC1 Power Filter cannot be installed with ESP XG-PCS-15D. 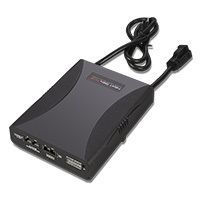 ESP XG-PCS-15D cannot be installed with the ESP AC1 Power Filter. 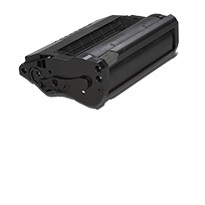 A Print Cartridge is included with the mainframe, but we recommend ordering another set for backup. For use only with the SP 5210SR Internal Finisher. SP 5210SR must be selected to add this supply. 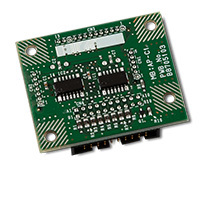 The standard DOSS included with the mainframe is ISO 15408 certified.